Products | This is My Land! 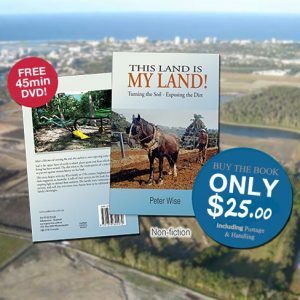 View cart “This Land is My Land!” has been added to your cart. Get your copy of the book “Old School”! $25 ($20 Book + $5 Postage & Handling)Post to: Peter Wise, PO Box 8204, Maroochydore QLD 4558.